Do you need to buy a new player for your team? Set your search parameters, such as maximum market value, salary range, role and country of origin and submit your request to our platform. 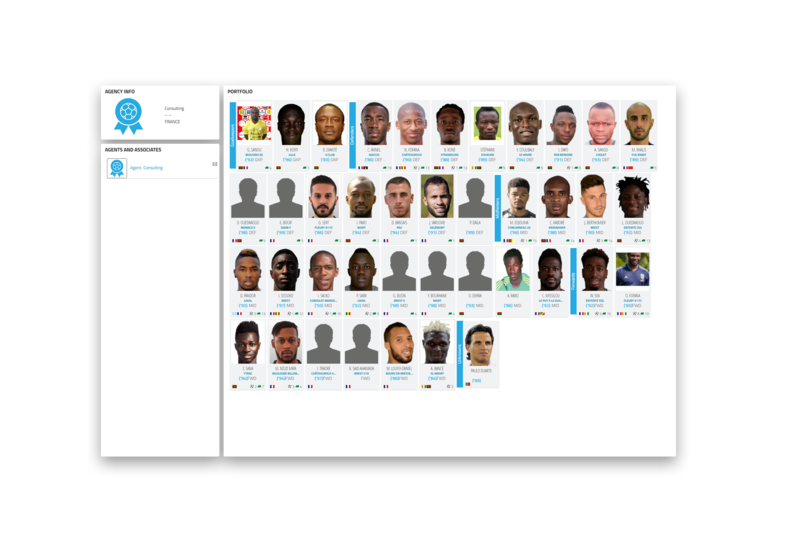 Agents, the other clubs or players themselves will send a list of candidates, that you can analyze later. Personal portfolio to update your list and all the information about your clients: from the contract expiry date with either their team or agent, to their market value, representative country etc. 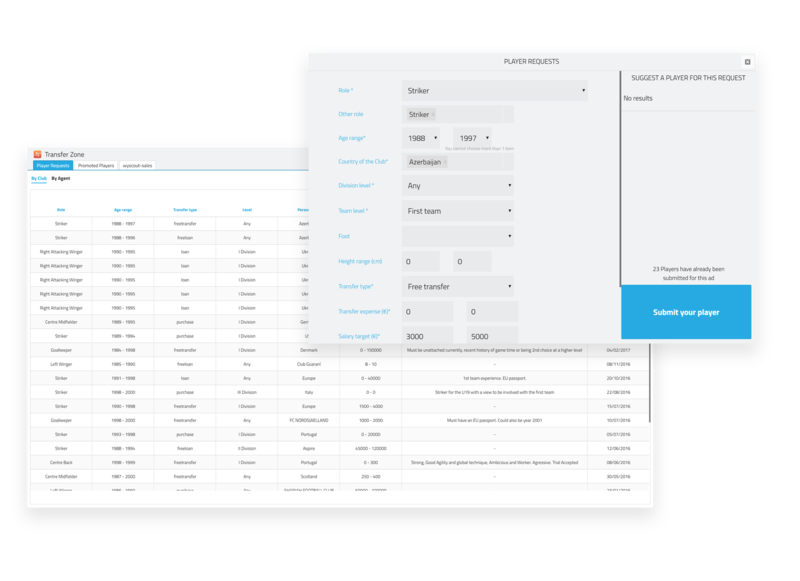 Update and modify your clients’ data, and finalize the transfer of a new client to your team after the signing of the contract. This is an essential tool for agents working in the transfer market. Get in touch with agents, scouts and team managers. 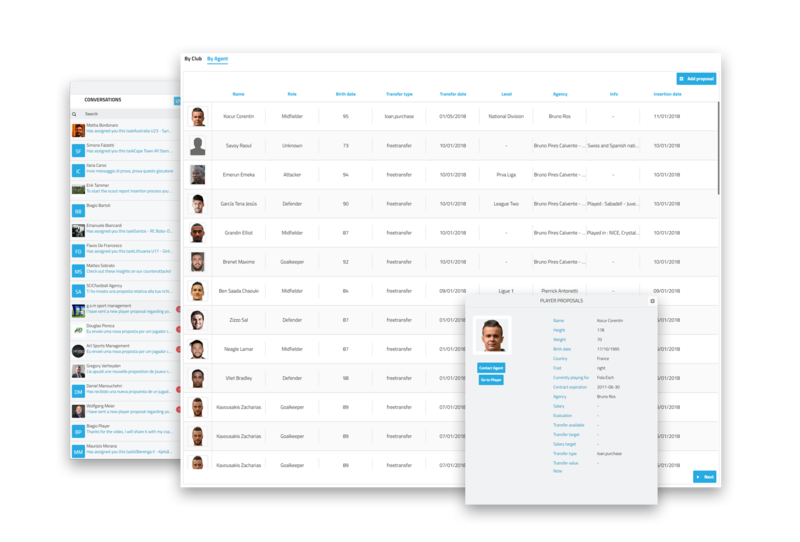 You can reach more than 10,000 football professionals and get the best out of transfer market. 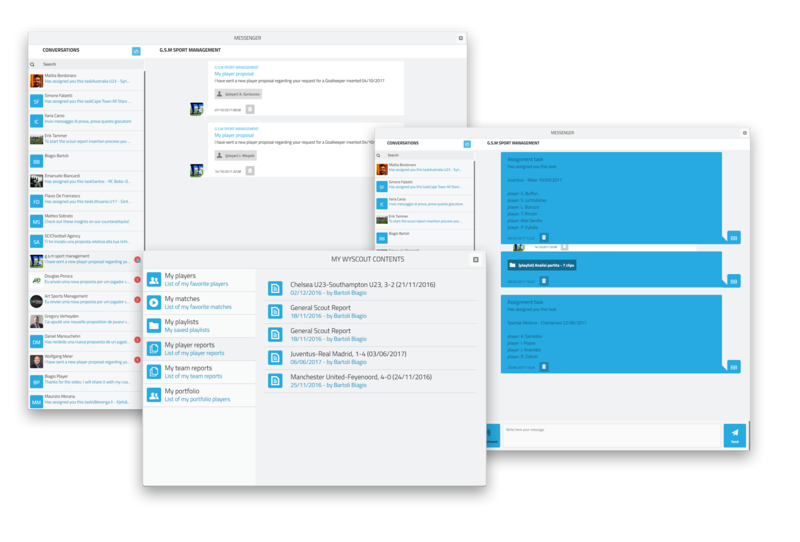 Test the water and start negotiating thanks to Wyscout professional messaging system. To set up your subscription best, fill out the form below. One of our sale reps will get in touch with you for assistance.